The apartment consists of a double room (cot can be delivered), a twin room, a cozy living and dining room, a kitchen, a bathroom with bathtub / WC and a dressing room with a desk and storage space. The apartment has a balcony, a sitting area in the front yard, a parking space and a laundry room with washer and dryer. If you want to have basic equipment in the fridge upon arrival, please let us know. Beverage service in the house. On request, there are fresh bread rolls from the bakery. 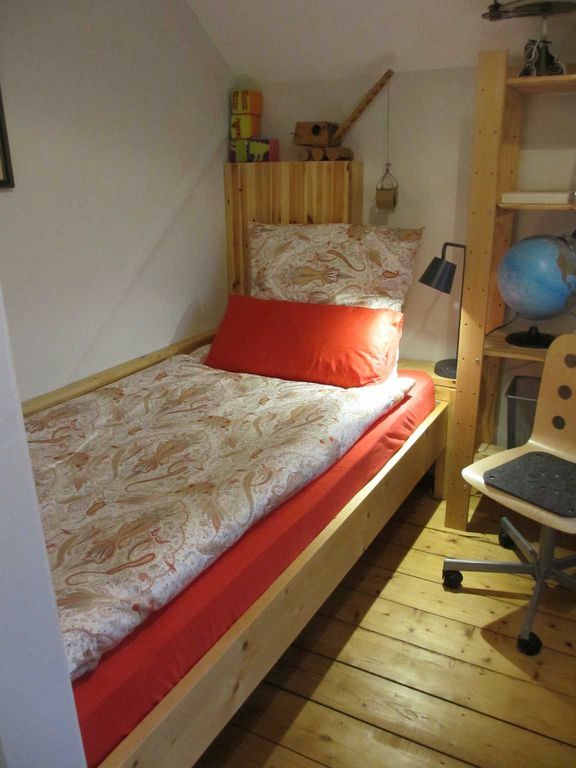 The "Johannis Nest" is a 70 square meter apartment with DTV F **** classification in a so-called Oldenburg "dog house" (built in 1893, listed), located in the beautiful Johannisviertel near the horse market (about 150m). The bright Non smoking apartment in 1. OG is modern equipped and contains old, restored details such as a waxed floorboards and high ceilings. Most of the major attractions, museums, theaters, cinemas, two hospitals, restaurants and pubs are located in the immediate vicinity and are within easy walking distance. The Oldenburg city center is also just 5 minutes walk away. Three times a week, the popular farmer's market takes place on the horse market. War alles perfekt: liebevoll eingerichtet, super Lage und nette Vermieter; wir kommen bestimmt wieder!